The multiyear rehabilitation project of the Citarum River in West Java is set to become another arena for Japan and China to flex their financial muscle, as the two global powerhouses eye a stake in what has been labelled as Indonesia’s most ambitious environmental project to date. For now, Japan and China, two countries that have faced off in head-to-head competition in some of the biggest projects under President Joko “Jokowi” Widodo’s infrastructure development program, appear to be the most serious foreign economies that want, or at least have shown an interest, to do business in the Citarum. Officials said Indonesia welcomes any country that wants to participate in the effort to clean up the Citarum as their involvement would only aid the implementation of the ambitious program. “We are very happy to open opportunities to all parties [to participate in the Citarum’s rehabilitation project],” said Safri Burhanuddin, the Office of the Coordinating Maritime Affairs Minister’s undersecretary for human resources, science and technology and maritime culture, in an interview recently. 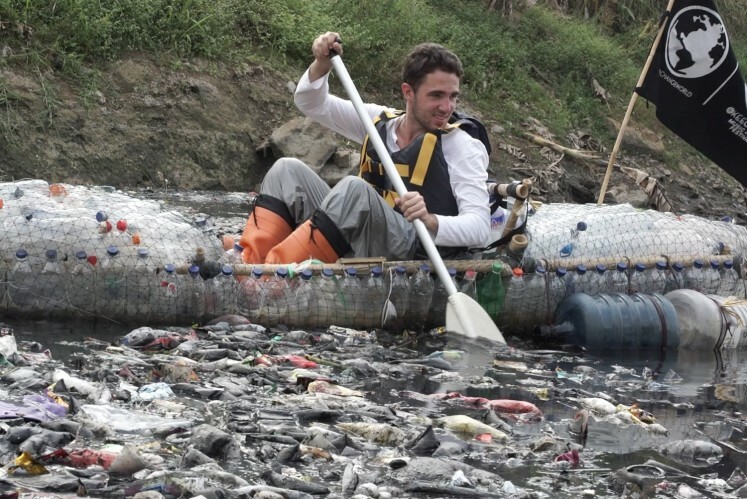 The Citarum has been dubbed the world’s dirtiest rivers by several international organizations and media outlets since at least 2012. The 297-kilometer Citarum is the third-longest river in Indonesia’s most populated island of Java, after Bengawan Solo in Central Java and Brantas in East Java. To achieve the rehabilitation of the Citarum, Jokowi is setting an ambitious goal. He said he wanted to make the river’s water “very clean” by 2025, having established in February a program nicknamed Citarum Harum (Fragrant Citarum), which will run for seven years. The government has yet to calculate the cost of the program. The successful implementation of Citarum Harum would be a boost for the 30 million people living near the river, spanning from Bandung in West Java to Jakarta. 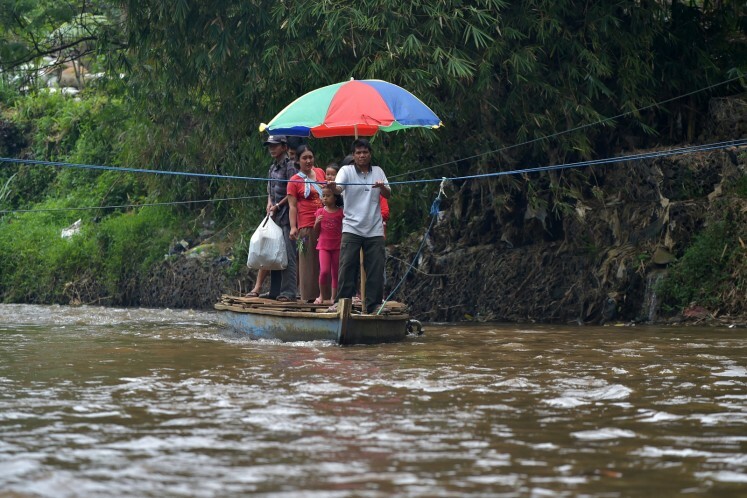 They depend on the Citarum for water supply, hydropower and farming. Most of Jakarta’s raw water supply for tap water come from the Jatiluhur Dam, which captures water from the Citarum. Human and business activity, such as the thousands of textile factories and millions of households dumping untreated liquid waste into the river, has contaminated the Citarum for decades. The central government and West Java administration have previously implemented programs to clean the river. In 2010, the government launched the Integrated Citarum Water Resources Management Investment Program. The goal was to clean the river in 15 years and involved the central government, regional governments, NGOs and the private sector. The Asian Development Bank (ADB) calculated in 2008 that the program would cost Rp 35 trillion over 15 years, the equivalent of US$3.5 billion at the time. The bank loaned Indonesia $500 million for the program. In 2013, the ADB and the World Bank released another report stating that two-thirds of the pollution was coming from municipal domestic waste and the rest from industrial and agriculture waste. The cost to treat domestic waste stood at Rp 14 trillion while industrial waste stood at Rp 1.6 trillion over 20 years, the report said. The financial benefit of cleaning the river, it went on, was estimated at Rp 2.1 trillion per year. The results of the existing programs, however, have been invisible. In September last year, the river was in the international spotlight again after the Bencheghib brothers from France made a documentary about how dirty the Citarum was. Yet for Indonesia’s economic partners, Citarum Harum means business opportunities in Southeast Asia’s largest economy. Safri said Japan and China were the only two countries as of now that had officially presented proposals to rehabilitate the Citarum. In late March, the Japan-Indonesia Coordination Agency gathered businesspeople who operated around the Citarum river basin at an event held in Bandung to present waste management technology that could be implemented in the region, said Safri. Prior to the event, there was a meeting between Japan’s Deputy Environment Minister Arata Takebe and Environment and Forestry Minister Siti Nurbaya Bakar on Jan. 19, in which the former agreed to help Indonesia rejuvenate the dirty Citarum. Meanwhile, China’s first intervention was manifested in a move by the Shenzhen Fountain Corporation, a listed Chinese water management company. It presented this month three Chinese water specialists offering “a comprehensive solution” to address the multilayered problems in the Citarum before high level Indonesian officials and water specialists at the BPPT auditorium in Central Jakarta. One of the water specialists, Wang Hao, is an influential water adviser to Chinese government, Fountain assistant CEO Alexander Gevanno told The Jakarta Post. Wang is the director of the China Institute of Water Resources and Hydropower Research. Alexander, an Indonesian, claimed the foremost aim of the seminar was for educational purposes in order to introduce the government to what China had carried out to address its water pollution problems and water scarcity. The company, however, admitted it was eyeing future business opportunities and aimed at handling two to three projects within the Citarum Harum program. “I think we can demonstrate and provide the scheme with the lowest cost to supply clean water. Then, we can develop more business opportunities,” Fountain CEO Andrew Zheng told the Post. Officials said the Jokowi administration had a special expert team that would decide which technology or scheme offered by foreign countries was the most feasible for the Citarum Harum project. “In the end, they [foreign countries] want to do business [in the Citarum] and each of party wants its technology to be used. We will examine the pros and cons of each proposal,” said Safri. In the seminar at the BPPT, Coordinating Maritime Affairs Minister Luhut Pandjaitan hailed China’s use of technology and achievements in handling its environmental problems, including water pollution and water scarcity. “Let’s use technology such as that presented by our friends from China,” said Luhut, referring to the presentation by Fountain.